A Big Surprise for Alexis! 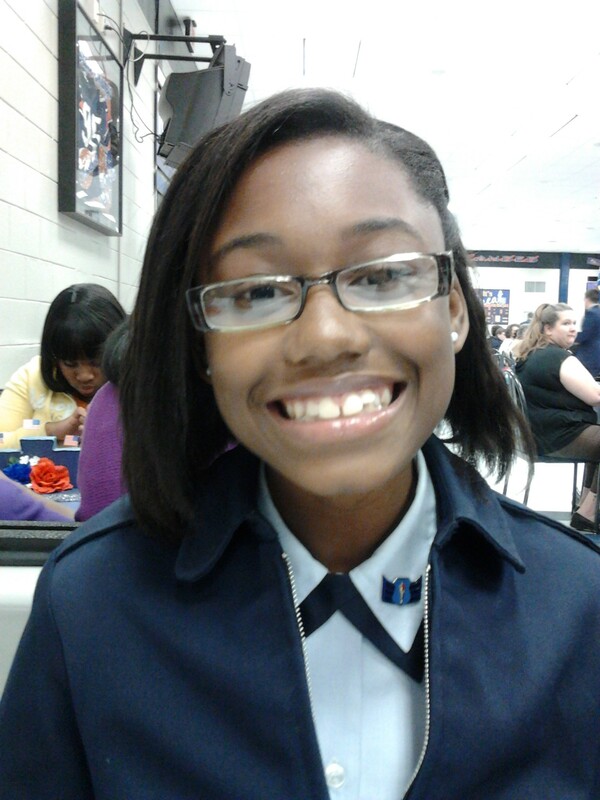 16-year old Alexis always had a dream to join the Air Force. Last fall, that dream got a little closer when she was named Training Officer in her ROTC class. But this past March, her dream was shattered when a debilitating pain in her leg led to an MRI and a biopsy. The diagnosis: osteosarcoma – bone cancer – in Alexis’ right knee and femur. The surgery to remove the tumor also gave Alexis an artificial knee and a metal rod in her thigh. Turns out, if you have any metal in your body, you might not be allowed to serve in the military. That reality has been very hard on Alexis. 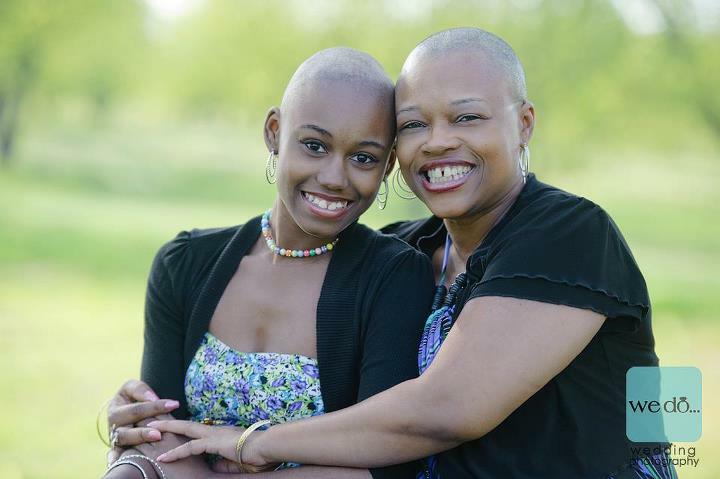 Alexis also had to drop out of school and endure seemingly endless rounds of chemo. Her mom, Jennifer, had no choice but to quit her job as an administrative assistant to care for Alexis. It’s just the two of them, and both their lives have been turned upside down. A teacher at Alexis’ school has been helping to raise money to pay their rent and utilities, but spending money on anything beyond essentials has been unthinkable. 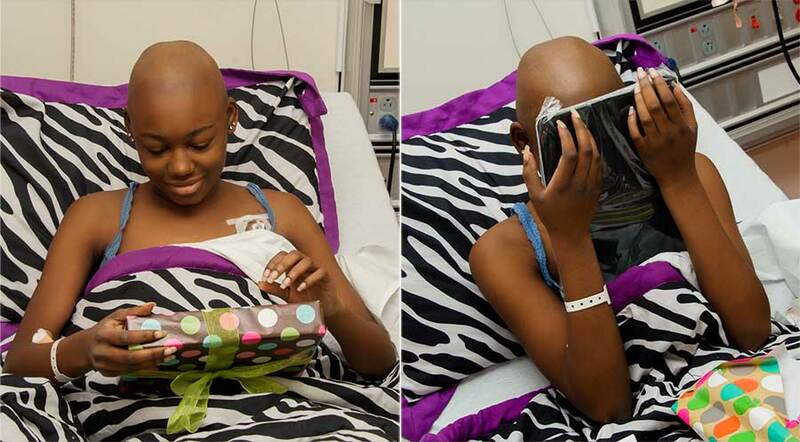 Team Summer learned Alexis lit up when she got to use the hospital’s iPad. She had never gotten to play with one before. So we decided to get her an iPad of her very own. Twenty-year old Tyler Hayes, cancer survivor and one of Summer’s best friends, was on hand to present Alexis with her gift. Then, it was time for the best part! Alexis’ mom had told us that Alexis was a big fan of the band Mindless Behavior and snuck us a photo of Alexis with the group taken just before she was diagnosed. The clever people at Team Summer (Brenda Richterkessing, to be precise) turned the photo into the coolest iPad cover ever! Alexis pretty much flipped out when she saw it! Alexis’ mom says Alexis and her iPad are now inseparable! We hope it makes the coming months a little easier. Lynne, thank you for putting a smile on Alexis BEAUTIFUL face. Brenda, You are SO talented at so many things. Amazing. Well done.